Six top US senators from across party lines have introduced a scathing resolution to hold the Saudi crown prince accountable for the killing of journalist Jamal Khashoggi more than two months ago. The proposal, which was introduced on Wednesday, says the Senate "has a high level of confidence" that Mohammed bin Salman "was complicit in the murder". 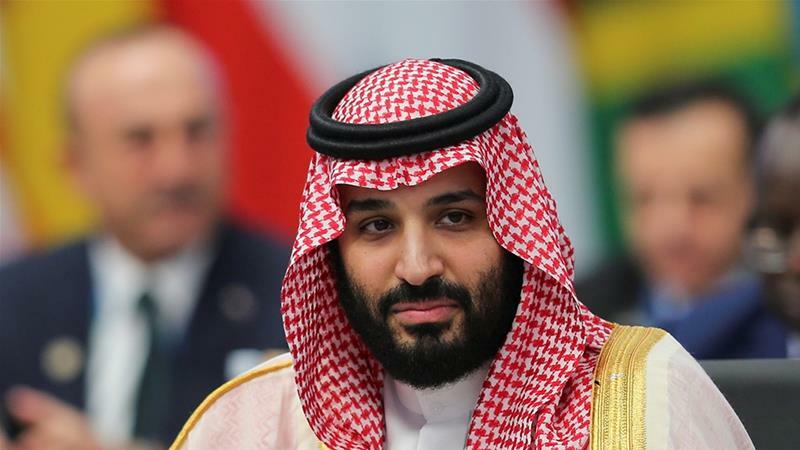 If approved by the Senate, it would officially condemn Prince Mohammed, also known as MBS, for the killing of Khashoggi in the kingdom's consulate in the Turkish city of Istanbul in October. "This resolution - without equivocation - definitively states that the crown prince of Saudi Arabia was complicit in the murder of Mr Khashoggi and has been a wrecking ball to the region jeopardising our national security interests on multiple fronts," Lindsey Graham, a Republican senator and close ally of President Donald Trump, said in a statement. The move by the US senators came as Istanbul's chief prosecutor filed warrants for the arrest of a top aide to MBS and the deputy head of the kingdom's foreign intelligence on suspicion of planning the killing of Khashoggi, a Washington Post columnist and a critic of the crown prince. Saudi Arabia has said the crown prince had no prior knowledge of the murder. 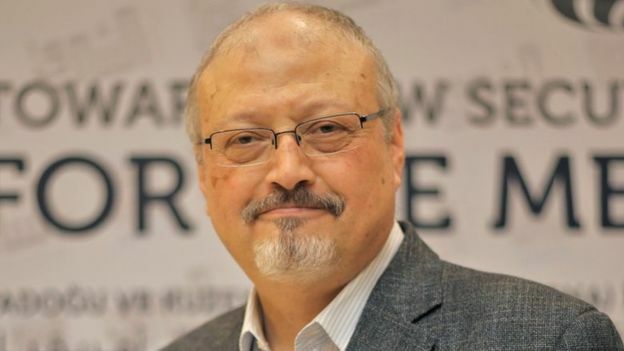 After offering numerous contradictory explanations, Riyadh later admitted that Khashoggi had been killed inside the consulate and his body dismembered when negotiations to persuade him to return to Saudi Arabia failed. The strongly-worded resolution also holds MBS accountable for alleged atrocities committed during the war in Yemen, which Saudi Arabia entered in 2015 through a massive bombing campaign. Since then, the US-backed Saudi-UAE alliance has launched more than 18,000 air raids, part of a war which has killed tens of thousands of civilians. The resolution also called on Saudi Arabia to end a blockade imposed by itself and three other Arab states on Qatar in June last year and seek a political solution in the worst diplomatic rift to have struck the Gulf Cooperation Council (GCC). The bipartisan group of senators also wants the release of blogger Raif Badawi, women's rights activists and other political prisoners detained in Saudi Arabia. Their move came a day after some senators said there is "zero chance" MBS was not involved in Khashoggi's murder following a closed-door briefing by CIA Director Gina Haspel. Tuesday's briefing came a week after Secretary of State Mike Pompeo and Secretary of Defence James Mattis had told senators that there was no hard evidence MBS was behind the killing and urged senators not to downgrade ties with Saudi Arabia over the incident. The CIA has reportedly assessed, however, that Prince Mohammed ordered the killing of Khashoggi. Trump has repeatedly avoided any assertion that Prince Mohammed was involved in the October 2 killing and said the CIA had "feelings" the royal was culpable but not a firm conviction. Commenting on the senators' resolution, Nabeel Khoury, a former US diplomat and deputy chief of mission in Yemen, said the Senate is starting to see MBS as a destabilising influence. "Trump has lost the debate with Congress on what should be done about the Khashoggi murder and while he was out with Mattis and Pompeo arguing about the value of Saudi Arabia, what Congress is telling him is, 'No one is contesting that, what Congress is telling him is, 'No one is contesting that, what we're contesting is the direction the Saudi policy has taken under MBS'," he told Al Jazeera from Washington, DC. "They have now linked all the destabilising actions that MBS has taken, starting with Yemen, passing by the Khashoggi murder onto Qatar and even Lebanon. "The administration will have to act behind the scenes maybe to pressure Saudi Arabia into some kind of acceptable corrective force or this is going to get worse - in the end, Congress, especially the House, controls the purse strings and can eventually force the administration's hands."